I wish to extend my sincere thank you and gratitude to the staff at Davey Auto Sales for their impeccable service and high quality, CLEAN used vehicles. Amazingly enough we were looking for a car for my girlfriend when we strolled onto Davey’s lot, right away we could feel a big difference from those other guys, and you could tell that along with being extremely professional and knowledgeable that they had A LOT of fun here. 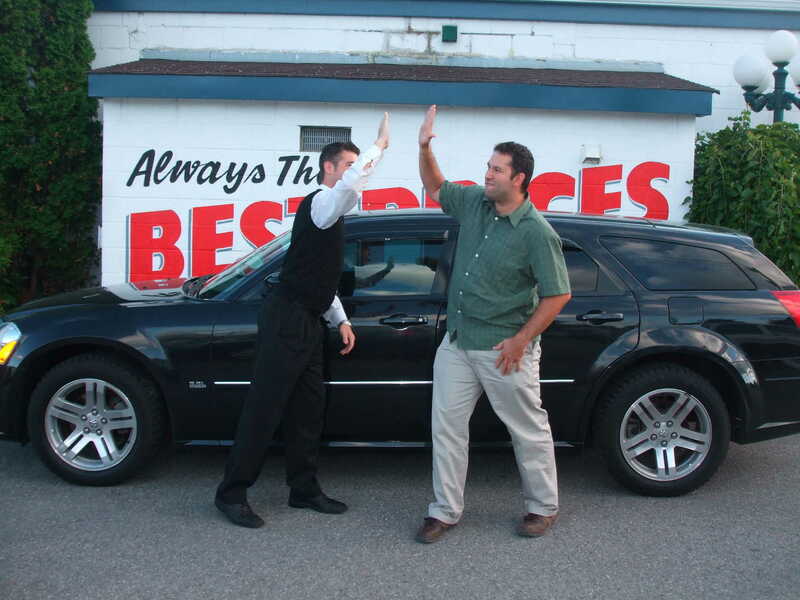 We met with Steve who was extremely courteous and friendly and introduced us to what would be my future love…a 2006 Dodge Magnum with every option I wanted and more. When I got the nod that it was okay to purchase the vehicle for myself, I spoke with Brent and Steve who were able to address all my questions and concerns. The staff at Davey are definitely committed to the customer and they stand behind quality products, which I find to be a rare thing in this world. Many thanks go out to Steve and Brent, also Shelley, Glen, Jeff and the rest of the gang for their help on getting me into a car I absolutely LOVE. If you’re tired of the rest then try the BEST at Davey! Thank you so much!